A second round of hikes in import duties was announced recently, this time on telecom equipment. This is a move to not only curb imports but also rein in a rising current account deficit (CAD), aiming to check the rupee’s weakness against the dollar. The Indian rupee has been one of the worst performing currencies among the emerging markets in this calendar year. The hike in customs duties is seen as too little to trigger any reasonable correction in CAD. The need of the hour is to take bold decisions that will not only help cushion the rupee but also usher in a sustained reduction in India’s import dependency. Imports are a necessity when a nation doesn’t have the wherewithal to produce goods locally. However, it is inefficient utilization of resources when a nation allows a copious flow of imports even when the domestic industry has the necessary capacity and expertise to manufacture the same products. A key area that has been efficiently manufacturing and has the necessary scale to not just meet domestic demand but even exports is metals and minerals. However, the lopsided duty structures and free trade agreements (FTA) have translated into a raw deal for the domestic industry. Supplies of various materials have been facing persistent dumping for several years now. The government should urgently look into the misuse of the FTAs. There have been instances where goods are routed through countries with which India has signed such agreements. For instance, coco powder is routed through Singapore, Indonesia and Malaysia and the direct/indirect value addition ratios are not met in various cases. It is easy to obtain approvals in these countries and India suffers loss of customs duty. Strict provisions for Indian importers are necessary to curb such duty evasions. In the oil and gas sector, where India currently meets more than 80% of its demand through imports, the country aims to reduce imports by 10% by 2022, which is equal to savings of roughly $10 billion annually. Given India’s massive untapped hydrocarbon reserves, the nation has the potential to easily enhance domestic production of oil and gas to cut import dependency by more than 10% in the forseeable future. A correction in the duty structure, within the World Trade Organization (WTO) guidelines, and liberalization of the mining sector is sufficient to boost domestic manufacturing and significantly cut down India’s import bill. Such is the inherent strength of India’s resources sector that right policies can boost domestic manufacturing and cut down India’s import bill by as much as $20 billion per annum. 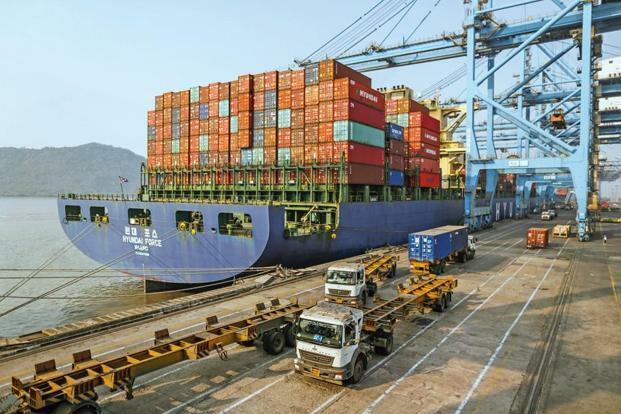 For example, despite having the fifth largest coal reserves in the world, India is likely to import 164 million tonne in the current calendar year as production inefficiencies and transport bottlenecks force companies to look overseas. Iron ore is another example. India produces 210 million tonnes of iron ore every year, which is far more than what it consumes. While the mining ban in Goa is under legal resolution, more than 150 million tonnes of iron ore are lying idle in Odisha, Chhattisgarh and other parts of the country. The local prices of iron ore are 30 to 40% cheaper than imports. Some of the largest steel companies continue to import iron ore, putting pressure on domestic miners. This, according to data available, drains out foreign exchange worth more than $650 million, plus an additional loss of royalty of about $60 million to state government. Similarly, import of refined copper and scrap have caused a foreign exchange outgo of a whopping $2.1 billion. About 38% imports for domestic consumption results from various FTAs. Further, the case of aluminium imports is interesting. Data shows that India’s primary aluminium production capacity of 4.1 million tons per annum is 1.25 times its consumption. Yet, imports account for nearly 60% of consumption. India imports about 1.1 million tons of scrap because the import duty on aluminium scrap is merely 2.5%. Experts fear that with the ongoing trade war between the US and China, aluminium meant for the US will now find its way into India, worsening the situation. The story of zinc is no different. While domestic producers can meet the industry’s demand, India imported 185,000 tonnes of refined zinc in 2017-18. Of this, 70% came from South Korea because of an ill-conceived comprehensive economic partnership agreement (CEPA). It will be an excellent measure to change the existing import terms under the CEPA agreement with South Korea, which will result in further reduction of the CAD. A well-thought-out strategy that benefits the nation in the long run by bringing down dependency on non-essential imports will not only save foreign exchange but also add to stability of key macro-economic numbers. Further, the misuse of FTAs for various identified imports should be looked into very seriously with heavy penalties on importers who deliberately misuse these agreements. As a corollary, rationalization of customs duty and prevention of FTA misuse will give a fillip to domestic output, boost the ancillary eco-system and lead to employment generation. The time to shift gears is right now. Abhishek A Rastogi is partner, Khaitan & Co.